Want to share your story and write for us? We will be in touch with you within an hour, Mon-Fri 9:00am – 5:00pm. Register your interest today. Limited spots! Not from Sydney? Ask us about travel scholarship. Secure your spot today, sessions sell out fast! 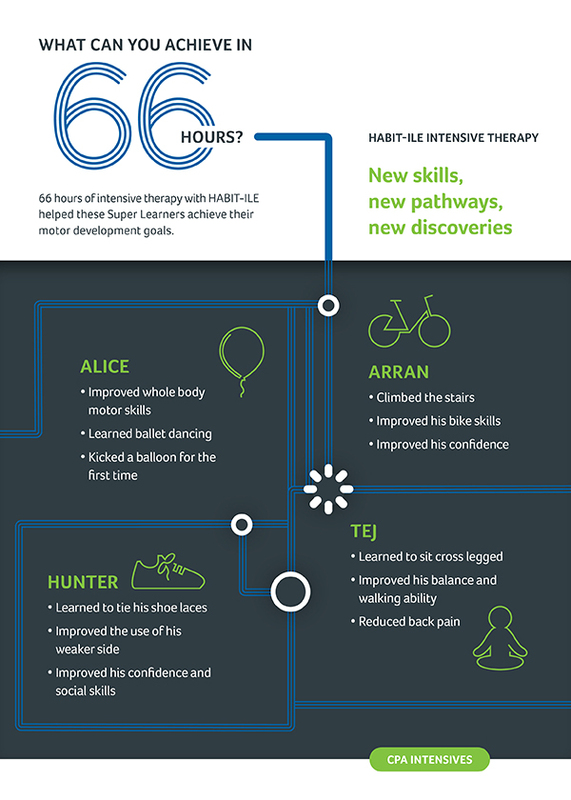 With global recognition, HABIT-ILE is a breakthrough therapy for children who experience challenges with hand and gross motor function. Developed in Belgium in 2011, HABIT-ILE leverages the latest science in neuroplasticity and is clinically proven to provide lasting and significant functional improvement. Parents to drop off their child for a 9:00am start each day with pick up at 4:00pm. Lunch every day and a celebration BBQ for the whole family on day 9. With a goal to strengthen, fine tune or learn new motor skills so they can play and participate more confidently in everyday activities. Goals can include riding a two wheel bike, catching a ball, tying shoe laces, walking up and down stairs more independently and others. HABIT-ILE ran for the first time in Australia in 2017, with astounding results. At the start of the program, each child chose skills to focus on. Nine days later, their performance of those skills was significantly and statistically improved (measured by the Canadian Occupational Performance Measure). 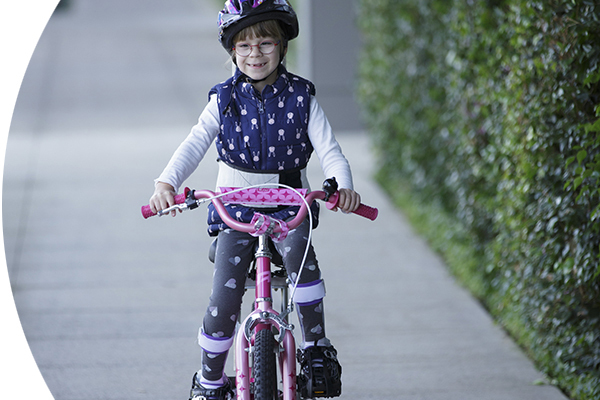 Between the ages 6 -12 years children fine tune and perfect their gross motor skills. This is a key time to work on strengthening and improving skills obtained in early childhood. Intensive therapy accelerates improvements in gross motor skills in a short time period resulting in long lasting results. Children who have already developed strong gross motor skills but just need to stabilize or perfect a skill often benefit most from intensive therapy. What can you achieve in 66 hours? After completing HABIT-ILE intensive therapy program other Super Learners Alice, Tej and Hunter achieved their goals and developed confidence to become more independent and participate more fully within their communities. The second time he went to HABIT-ILE he said he was going home to his family. There are physical goals with HABIT-ILE but these other benefits are more impactful. Arran needs to be integrated into school but he also needs friendships with other children who have CP, see their struggles and see what others achieve. It’s not just how fast can he walk, it’s the whole package. Consideration for eligibility will be made on a first come first served basis. Advice is available on how to structure this using some of your NDIS funding. I would definitely recommend it. 100%. Don’t worry that they’re going to be upset with you leaving them. She was just excited to be here. What do parents have to say about HABIT-ILE? Get access to cutting-edge wearable gaming technology, LusioMATE used exclusively during HABIT-ILE. LusioMATE makes learning new skills fun and interactive, helping to motivate kids to achieve their goals. Watch a quick Facebook Live video featuring Prue Golland, Senior Clinical Consultant, where she talks about HABIT-ILE and answers audience questions.